“Christmas With Sonic” by Balenaproductions (creator of “Sonic in Jaws” and the “Sonic Zombie” series), an annual festive treat which began back in 2011, returns once again this year with a brand new twist – what would Christmas be like with Eggman and the family? 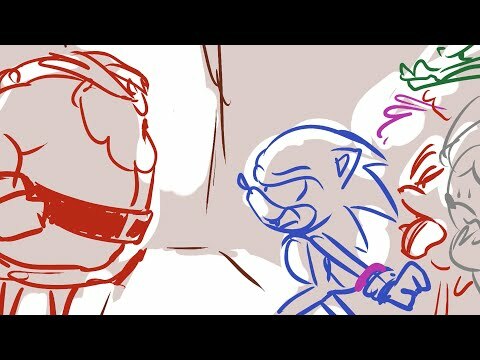 In “Christmas With Eggman”, we see this possibility unfold. As always, the video goes down a treat with a fantastic quality of voice work, top notch writing, charming characterisation for the cast and a stylistic animatic-esque look. Give it a watch above, and make sure you check out the other Christmas With Sonic videos (all assembled in this handy dandy playlist) if you haven’t done so already, and get yourself in the festive mood. Christmas is but a few days away! Next Post > Next post: The Leap Frog Sonic Design Document, Happy Christmas!